One of my good friends suggested that I check out this crazy exercise program called p90x. Because it was video based, I did not have to pay a ridiculous $40+ every month to do what I can do with just a small open space and a dvd player. I started eating super clean, cut out all the junk and lost a whole bunch of weight. To this day, I have kept the nutrition habits that were formed during those painful ninety days. I am talking specifically about the shape of your life. If you want to be a person who is really displaying the gospel of Jesus to the watching world, as God intended for you to do, there are few other things that are far more important than just eating clean or participating in hot yoga. Here are five areas in your life that will form your life shape. If these areas are neglected, your life will be extremely lop-sided, un-balanced and will lack the vigor and vibrancy that God initially created for you to display and experience. 1. Believe that Jesus is your Lord and Savior. The most difficult part for a follower of Jesus will be actually believing that Jesus loves you. Because every time we choose another pleasure to satisfy our desire, other than Jesus – we in effect are telling Jesus that He is not enough. Your relationship with Jesus will determine every other relationship that you will have in your life. 2. Get married, to stay married. If you are reading this, there is a ninety percent chance that you will get married. The odds are ever in your favor. Your spouse will be the single most influential person in your life, who will form your shape. I believe that the health of your marriage will determine your success in every single other area of your life. Your family needs to be your top priority. If you want to learn how to find your soul mate and make the right decision, click here. 3. Commit to serving in a local church. There is no other organization or group where you will grow more into the person God created you to be, than in your local church. Plug in to a local church, uncover your spiritual gifts and start serving people. Statistically, people who take an active part in one local church experience the most joy, the most happiness and the most contentment in their life. 4. Find a few mentors who will speak in to your life. Find a few guys or gals that will be super honest with you and will speak into you. I thank God that I have had the same two to five guys continuously speak in to my life for the better part of the last decade. They point out my blind spots, coach me hard on the spot and provide just the right amount of encouragement. I don’t even want to think where I would be without their mentorship in my life. Mentors help leaders get further, faster. Mentors can help you shave off twenty or more years off of your learning curve. Find a mentor today. I am serious. Text or call someone right now. Ask them: Can you be my mentor? You can do this and come back to this post later, I don’t mind! 5. Narrow your focus to a maximum of three to four areas. Most people can do only a handful of things really well. I would venture to say that most people can only be really good at only three to four things. This is why very early on in my twenties, I realized exactly what God has gifted me with and exactly what I want to do for the rest of my life. I want to serve people in my life by speaking, writing, providing leadership and making a tremendous impact in every single person that I meet in life. You have to say no to some really good things, in order to say yes to the really great things. You will be much more impactful when you hone and develop your craft or talent – and use that to serve the people in your life. You personally will experience the greatest level of joy and pleasure, and so will the people who will be impacted by how you serve them. In each of these five shape areas, infuse the gospel of Jesus. Because if you please Jesus, it does not matter whom you displease. Display Jesus in every single sphere of your entire life. Forget about growing your kingdom and focus on growing Jesus’ Kingdom. There is no limit to what God can do in you and through you. But very often, God is interested in doing a great work in you, before He will do a great work through you. Question: Are you in shape? 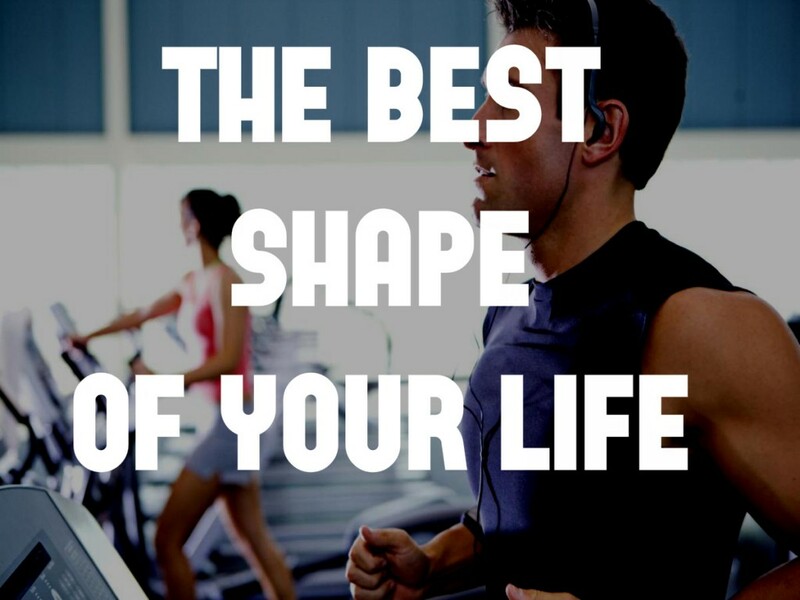 What area of your life do you need to get in shape? What else would you add to this list?